Zero Friction men's Universal fit glove with ball marker comfortable ball marker glove offers control and convenience Zero Friction men's Universal fit glove with ball marker features: extremely durable synthetic material black mesh lycra maintains comfortable breathability all-weather protection keeps you on the course rain or shine black palm patch reinforces durability detachable ball marker keeps one handy click here for glove sizing Chart -One Size fits medium thru X-large hand sizes I've played almost fifty rounds of golf with your glove and can emphatically state the Zero Friction compression fit glove is the finest and most versatile golf glove I have used. 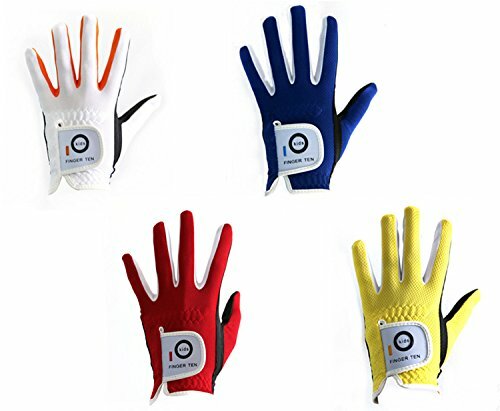 The glove has superior grip, and, unlike other gloves on the market, your Zero Friction product has shown little or no wear, especially in the palm where so many gloves wear out. It has maintained its fit and flexibility, not succumbing to the effects which perspiration leaves behind. Dedicated to making junior golf equipment, Young Gun has become one of the leading junior golf companies in the world. The hot selling Young Gun ZAAP irons are a must have for any child learning golf. With oversized heads and junior flex graphite shafts, these work fantastically in improving a child's game fast! With a large cavity and low center of gravity, these irons will increase launch angle off the face higher and are more forgiving. The Young Gun SGS (Start Golf Seriously) set is designed for juniors who are new to the game and taking the first few swings of their golfing career. Includes: 7 Iron: New SGS design is lightweight specifically designed for junior players. Junior flex graphite shaft. -Yellow length: 24", Blue length: 28", Red length: 32" -Putter: Ball Putter Semi-Mallet. -Yellow length: 22", Blue length: 26", Red length: 30" -Bag: Ultra lightweight with padded shoulder strap, 1 exterior zippered pocket. -Grips: Junior all-weather -Height range: Yellow Set: 36" - 42", Blue Set: 42" - 48", Red Set: 48" - 54" -Approximate age range: Yellow Set: 3-5, Blue Set: 6-8, Red Set: 9-11 Please check the clubs lengths with the height of your intended player to ensure proper fit. This set is about encouraging juniors to take part, as well as look the part, and is sure to inspire an early love of golf that could last a lifetime.